Together with many peers I admire and respect enormously, such as my frequent partner-in-research Jessica Groopman and Publicis Chief strategist Rishad Tobaccowalla, I've contributed to a new book out just this week. 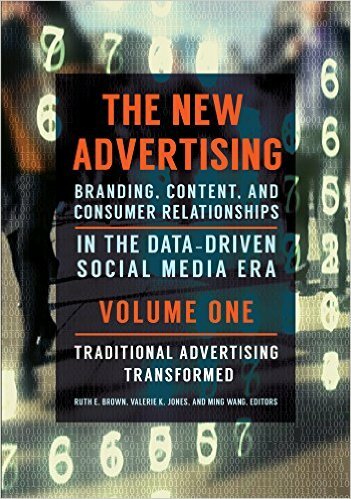 The New Advertising: Branding, Content, and Consumer Relationships in the Data-Driven Social Media Era published this week from Praeger. It's a hefty two volumes, the second of which includes a chapter I contributed based on my research on real-time marketing.